Among many graphic design concerns, numbers 14, 16, 23 & 25 deal with multimedia and Web 1.0 in the tumultuous early stages of the digital design era, with Eye’s take on youth culture, record labels, book designs and hallucinogenic sketches from the days when people still asked ‘Should you be on the internet?’ and ‘developer’ was a chemical you kept in the darkroom. 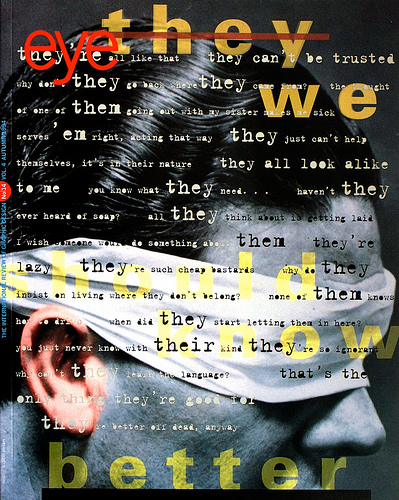 The cover of Eye 14 features an image designed by Bethany Johns for Atlantic Recording Corp.
Top: Back to the 90s, bargain bundle of Eye back issues. Individual cover design details below. All issues art directed by Stephen Coates. Spread featuring work by Jaime Levy (8vo), Colin Taylor and Mark Bowey. 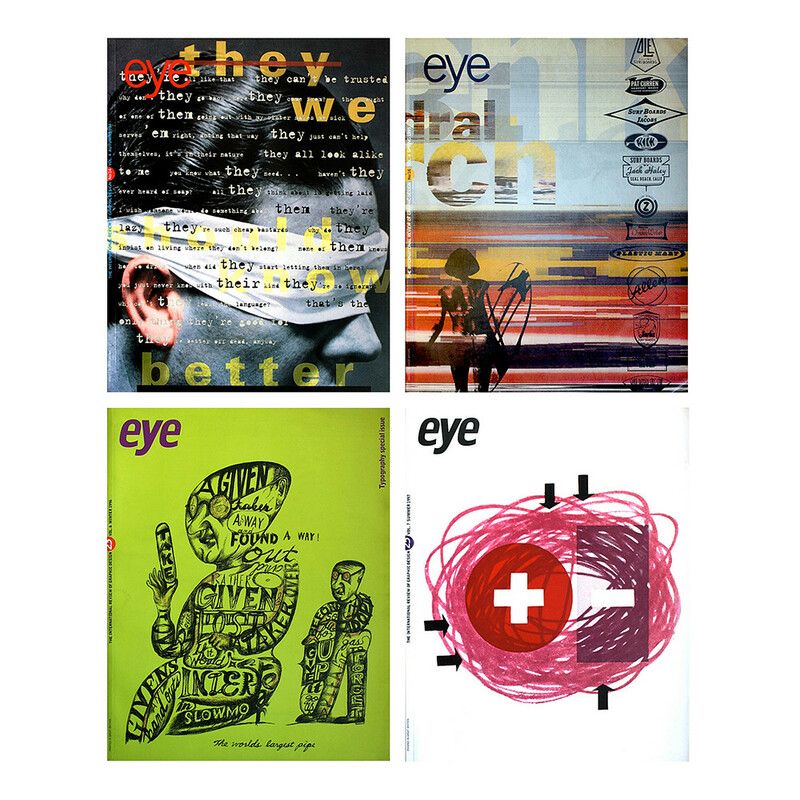 Eye 14 covers issues surrounding graphic design as an overlooked discipline. Rob Dewey tackles the identity crisis of graphic design, and Julia Thrift writes about the stagnation of corporate branding. 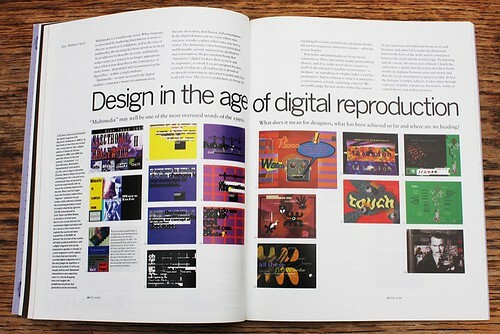 Radical young designers of the 1980s mellow their work after a decade into a recognisable and familiar youth culture design vernacular. 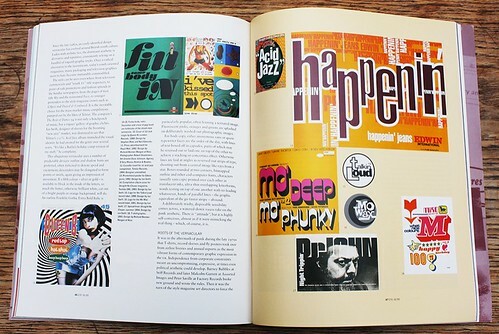 Examples on these pages include designs by Stephen Male, Neil Edwards, Richard Bonner-Morgan and Ian Swift (aka Swifty). Spread from Eye 16. Eye 16 looks at the status of graphic design education as formal training and the impact of design moving from the page to the screen. While some disagree with the practice being taught alongside graphic design history and theory, others welcome the academy’s recognition that it is a subject worthy of study and serious critical thought. Founding editor Rick Poynor speaks to Katherine McCoy about the legacy she leaves at Cranbrook Academy of Art and Adrian Shaughnessy explores Barbara Wojirsch and Dieter Rehm’s record sleeve designs for ECM. 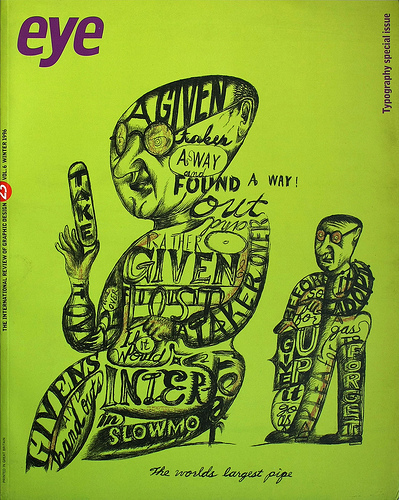 Eye 23 cover shows Edward Fella’s incorporation of typography in his sketchbook drawings. 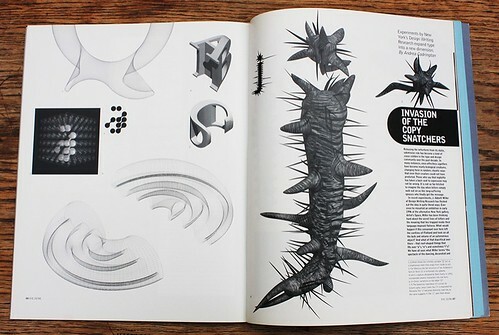 Spread from Eye 23 featuring examples from Abbott Miller’s Dimensional Typography: Case Studies on the Shape of Letters in Virtual Environments. 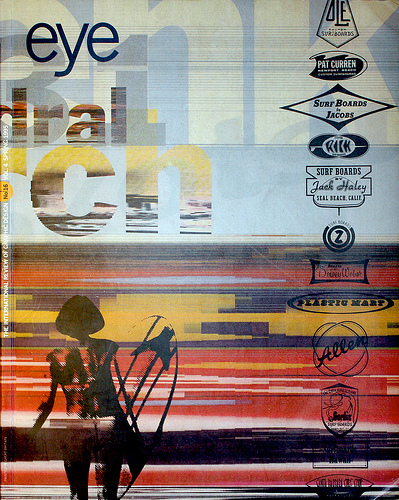 This issue includes a feature on the private sketchbooks of the commercial artist Edward Fella, and an article about Abbott Miller’s three dimensional translations of two-dimensional letterforms – including fonts by Ian Anderson, Luc(as) de Groot and Zuzana Licko – into extravagant 3D renderings. 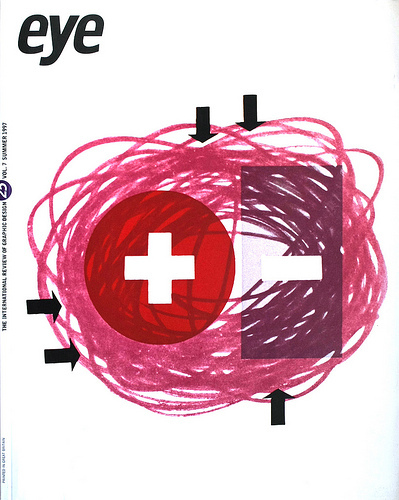 Eye 25 cover features a design by Croatian commercial design pioneer Milan Vulpe. In Eye 25, the discussion is steered towards the explosion of media platforms. Max Bruinsma writes about a ‘metadisciplinary’ visual culture, while Jamie Hobson worries that drawing is favoured over communication in graphic design education. Steven Heller interviews Milton Glaser for Reputations and there is an overview of Croatian graphic design by Orsat Francović. Mafalda Spencer writes about Willem Sandberg’s catalogues for the Stedelijk (see the forthcoming exhibition at De La Warr Pavilion in Bexhill) and a short article tells Eye’s readers to ‘Stop worrying and learn to love the web’! You can buy ‘Back to the 90s’ – all four issues – for the bargain price of £45. There are also four other bundles under the Classic Collections rubric: ‘On and Off the Wall’, ‘Storytelling’, ‘The Big Picture’ and ‘Type and Lettering’. 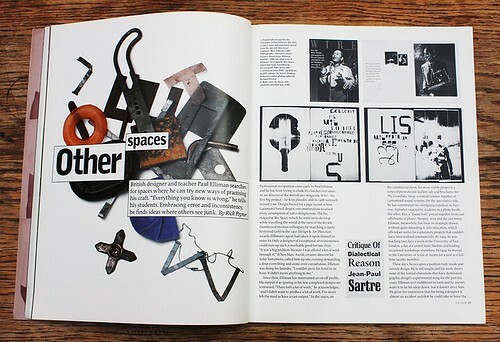 Spread from Eye 25 showing (left) found material used for the characters in Paul Elliman’s font Bits and a selection of Elliman’s client work.